Why are survival games so addicting? Do you seek something unique? Need a good challenge and an epic adventure? Let’s play Pixel Survival Games! Pixel Survival World is a sandbox survival game where you and your survivor friends will monster kill and defend against monsters for loot. Protect your settlements, protect the survivors and acquire epic loot in the survival arena. If you like sandbox games, simulation games, survival games, and or adventure games, this survival games will give you much love. As a pixel Hero, you and your friends will grow, defend, survive, and loot together in the world of Pixel Survival World. There are many different game modes found within the Pixel Worlds which you and your monster hunter friends can enjoy. Different difficulty worlds will have different monsters and loots for you to gather. 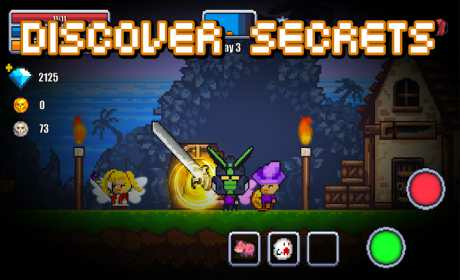 Secret pets, items, npcs, secret pixel worlds are scattered throughout the game. ☠ Survive the settlement from nightly furious raging zombie online. On the west side of the town lies an ancient gate where Heroes unite to defeat monsters from a portal. How many nights can you survive the zombie horde? 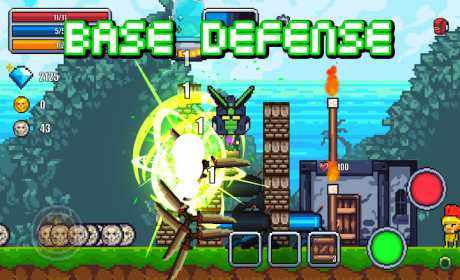 ☠ Construct traps and protect your pixel world from monster kills! With each defeat of an enemy zombie, you may earn silver coins. 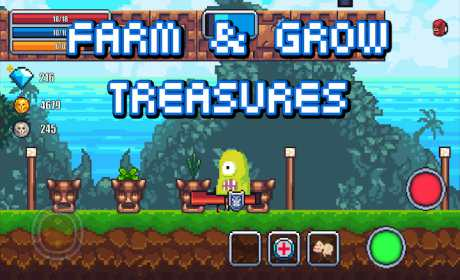 These silver coins can be traded for crazy traps which you can build to help defend. ☠ Gather materials from kill monsters and craft weapons, armours, and unique items! If you choose to play survival mode, the battle will take place at the Hero Gates to the west of town. You can also choose to battle in Arena style to the East of town where it is must more intense. Both will award you with loot if you survive. ☠ Trade items with other survivors around the world! You will acquire lots and lots of items. But with limited item space, what will you do with the extra items? Trade them for more high quality items from other players! ☠ Join other monster hunting player’s worlds and survive together in Survival Arena, or simply explore the vast pixel worlds together! ☠ Lots of secrets awaits your discovery in Pixel Survival Worlds. Discovery secret crafting recipes and pets and show them off! The best and only monster hunter sandbox survival simulator game where monster kill will award you with awesome loot! What are you waiting for? Join the growing monster hunt community now! Heroes Gates is the place to acquire survival coins and materials to early crafting. Arena is the place to gain golden coins and gems. You can upgrade your materials to higher tier materials once you unlock the Abandoned Caves. Remember to open the Daily Chest which is available once every 24 hours. Limited cheap daily gift boxes are available in the Gift box menu. Remember to link your account so you can restore it in case it gets lost. New UID will be issued when you restore your previous account.